A package says a lot about the company it's from. Shurtape Surface Printable packaging tapes allow text and graphics to appear clean and clear, while delivering a secure and reliable seal. Surface printable, production grade hot melt packaging tape for medium-weight carton sealing. Production grade hot melt packaging tape used in manual and automated industrial carton sealing of medium-weight cartons in everyday manufacturing and shipping environments. HP 260 is directly printable with all leading brands of solvent inks and delivers faster drying times for more efficient use of machines and superior ink anchorage without pickoff. 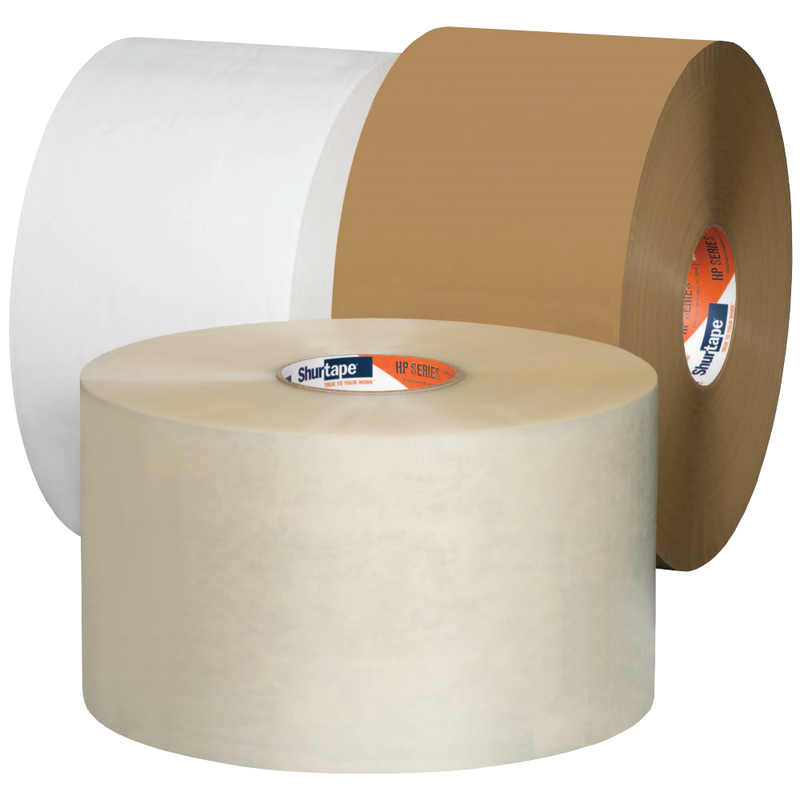 Surface printable, high performance grade hot melt packaging tape for securing large, bulky or heavy content cartons.